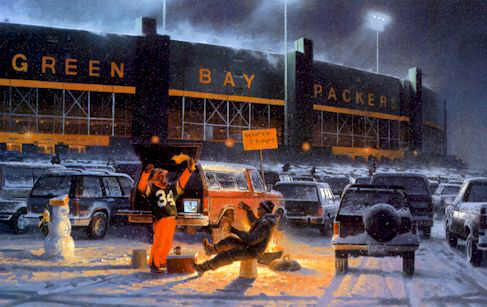 A limited-edition print dedicated to Green Bay Packer Fans. The First in a Series Honoring Green Bay Packer Football Fans. been an entertainer, having been a singer, music writer and recording artist. released his own exciting album of Packer music. quality prints . Call NOW and order yours.